Rinse the mirabelle plums, slice in half to remove the stone and then pan fry in a little olive oil. Sprinkle the fruit with sugar and a little lemon thyme. Leave to caramelize for about 10 minutes. Meanwhile, blend the flour, the rolled oats and the sugar. Cut the margarine into small pieces and add to the mix. 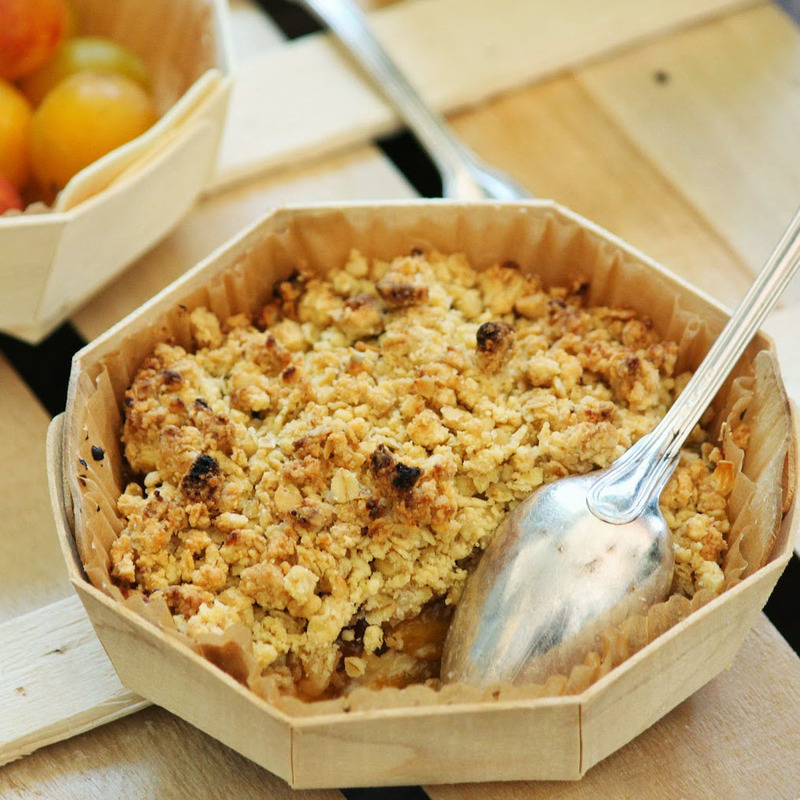 Mix roughly with your fingertips until you obtain a crumble that will be deliciously crunchy. Allow 20 to 30 minutes cooking time in an oven preheated to 180° C.